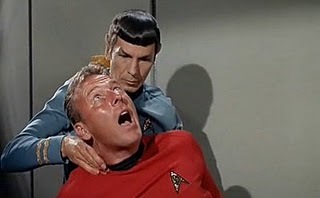 I'm not asking Spock round for New Year ever again. I still can't feel my drinking arm. Ouch and double ouch. I was expecting Auld Lang Syne. Or a communal glass raising. Cheers or embraces.